Tsuburaya Productions and Ui2 was partnered in the development of wallet application settlement membership card app for smartphones NFC-enabled. The future, apps the theme of Ultraman is provided. 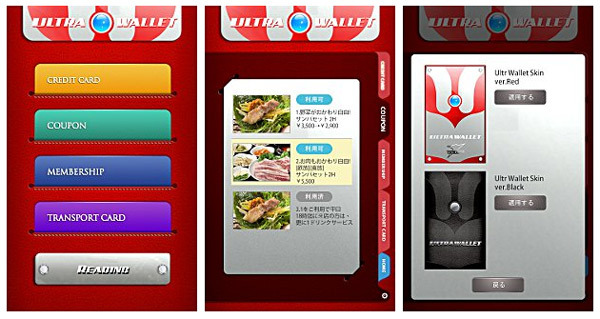 In this time both companies, development “Ultra-wallet” (tentative name) the app that a motif Ultraman is a character of Tsuburaya. By with the application that can be stored together a coupon application electronic ticket and credit cards, and shopping district, is not only function, it has been developed as application plus the entertainment element. The policy to promote the commercialization commercial facilities, such as shopping mall in the future. Policy in Ui2 At the same time, provide a coupon service for stores. It is exhibited at WIRELESS JAPAN 2013 to be held May 29 to May 31st.